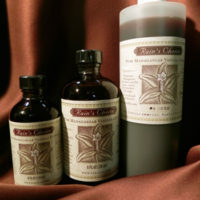 Our pure vanilla extracts are premium, gourmet quality. They contain 20% more vanilla bean extractives than required by law, making them the best flavor on the market. They are gluten-free, non-GMO, and contain no sugar or other additives – just purified water, sugar-cane alcohol and vanilla-bean extractives. Vanilla extract has no expiration date, as the flavor improves with age. Vanilla is a rain-forest friendly product. 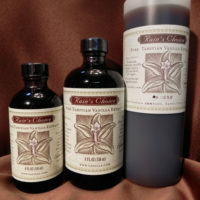 Buy our wholesale vanilla extracts in bulk here or purchase in smaller quantities from Vanilla Enchantment. we now also carry our own high-quality natural vanilla flavor.